This year it’s not just glistening tinsel and twinkling fairy lights that will show off your festive spirit. 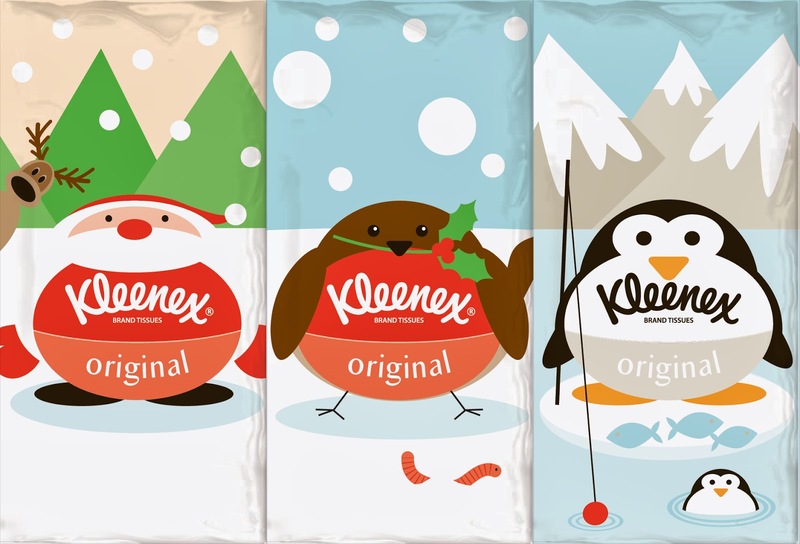 Kleenex Winter Originals are a stylish, fun and practical addition to your decorations this Christmas with three new festive designs: a jolly Santa, a cheeky penguin and an adorable Robin. 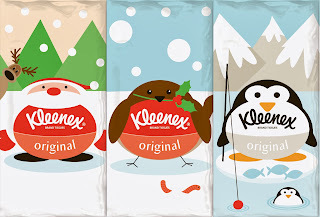 Containing the same soft, strong and quality tissues that you have come to know and love from Kleenex, the new designs are perfect for adding some Christmas cheer to a coffee table or work desk, mopping up an egg-nog spillage, or for wiping away food crumbs when sneaking a piece of turkey stuffing on Christmas Day. Be sure to keep a pack or box nearby to help you cope with all the little tissue moments this winter. The Kleenex Winter Originals boxes and pocket packs will be available from mid-October in selected stockists whilst stocks last. Everyone needs tissues with all the winter sniffles and sneezes around, well I know my family does. These festive delights are so cute, my kids each have a packet in their pocket for school today which they are very pleased about. I have got a box on our dining table and another in the sitting room, it's tissues at the ready in my house. Kleenex tissues have always been my favourite choice of tissues as they're always soft and kind to your nose just when you need it. I really love these new cute christmas packs, they're the perfect family treat this year. We were sent some samples to try out for the purpose of this review (lucky us) Our opinions expressed though are not affected by this and are 100% our own.